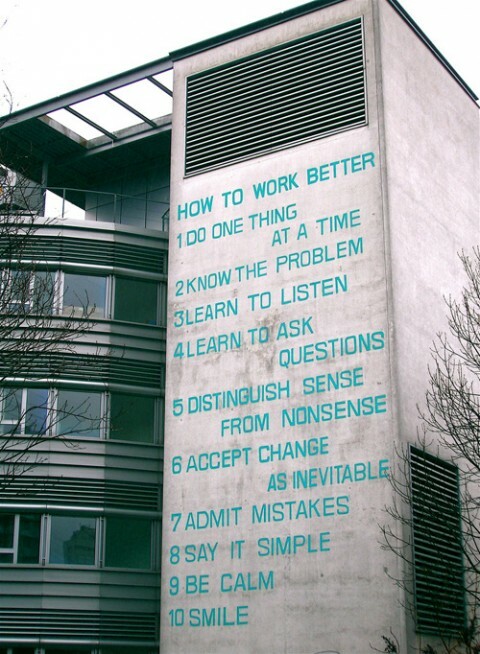 “How-To Work Better” by Swiss artists Fischli & Weiss has long been one of our favorite manifestos: the reminder we need daily. We’d seen it all over the internet, and posted it as a sign long ago. We hadn’t realized that it was, in fact, an installation, painted on the wall of an office building in Zurich. Short, sweet, to the point – it would save so much time and angst! thanks, Susan.